Given that your hydraulic pump is an essential part of your equipment, it is definitely a good idea to invest in a quality pump. But at the same time, you wouldn’t want to overpay for your pumps, or choose a pump that guzzles too much energy. To end this dilemma, simply choose Oilgear hydraulic pumps in Riverside CA. These pumps are not only designed to have a fast response time and reliable performance; they also last longer and consume less energy than the competition. The bottom line here is that Oilgear hydraulic pumps in Riverside CA simply give you a better value for your money. There are plenty of places to shop for hydraulic parts, but few offer the level of service and the assurance of quality you get at Bernell Hydraulics. Our sales staff knows Oilgear pumps, and we can help you get genuine parts that will meet your needs for speed, pressure, displacement, etc. Stop by one of our stores, request local delivery on your Oilgear hydraulic pumps in Riverside CA, or else ask us to ship your new pumps anywhere in the US. 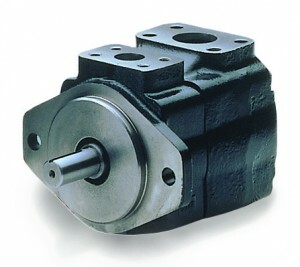 Need Help With Your Oilgear Hydraulic Pumps in Riverside CA? Bernell Hydraulics is much more than just a store selling new Oilgear hydraulic pumps in Riverside CA. We also provide expert hydraulic repairs. Our technicians keep up with advancements in Oilgear products so they know how to diagnose and correct pump problems quickly and correctly. Bring your pump into our store for help, or call us at 800-326-7252 for emergency onsite repairs.